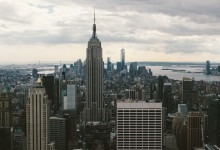 New York City continues to see a decline in the number of foreclosures, dipping below a total of 800 houses scheduled to foreclose for the first time since the first quarter of 2017. 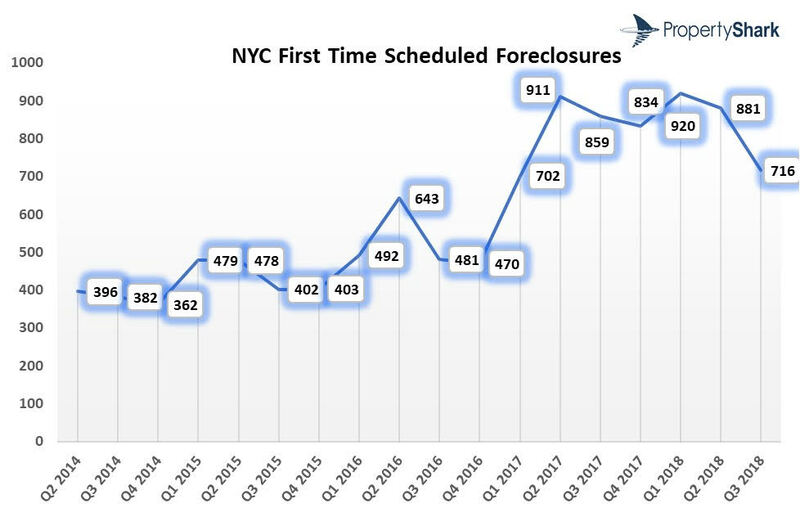 In the third quarter, NYC only had 716 foreclosure cases, according to a new report from PropertyShark, a 17 percent decrease compared to last year. 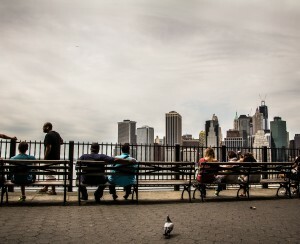 Manhattan, the Bronx and Staten Island saw huge drops, while activity in Brooklyn and Queens was stalled. The report shows that "New York City is slowly recovering from the increased amount of foreclosure cases from the previous quarters. 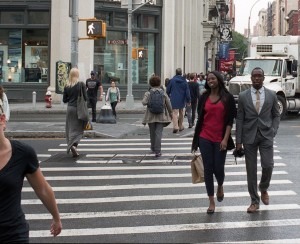 The city is stabilizing, and unique cases are on track of reaching pre-second quarter 2017 levels, with 400 to 500 cases per quarter," says Robert Demeter, real estate writer and author of the study. 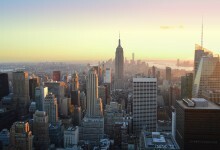 Manhattan hit a record low in foreclosure cases, with only 22 houses foreclosing for the first time, representing a 44 percent decline. The borough also set another record for the lowest number of foreclosed properties in one quarter since the first quarter of 2014. 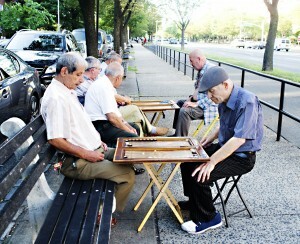 Demeter says Manhattan usually has the lowest amount of foreclosures each quarter, indicating that the borough's stability. "Even though Manhattan saw a drop of 44 percent year-over-year in unique cases, when you look at the absolute numbers things aren’t that dramatic: In the third quarter of 2017, the borough registered 39 foreclosure cases, while in the third quarter of 2018, there were 22 cases." In Brooklyn, there were 203 foreclosure cases, a negligible -1 percent change compared to the year-ago quarter. The borough only had two fewer cases than last year. Most of the foreclosure cases were in the 11234 zip code in the neighborhoods of Canarsie, Flatlands, Marine Park, Mill Basin and Bergen Beach. Queens was the only borough to see a small increase in foreclosure activity, which saw a 5 percent increase, although the report said that amount was incremental enough to be considered stagnation. Queens also had the highest number of foreclosures in the third quarter of 2018, with 303 homes heading to the auction block—15 properties more than last year. 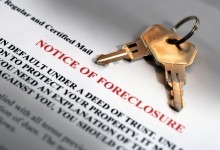 The 11434 zip code had the most foreclosed properties (27). The Bronx recorded a 43 percent drop in foreclosures, with 140 cases, 107 fewer compared to last year. Still, that was a 10 percent increase compared to the second quarter. The report noted that the Bronx is the only borough where the number of houses heading to auction has been increasing each quarter in 2018. 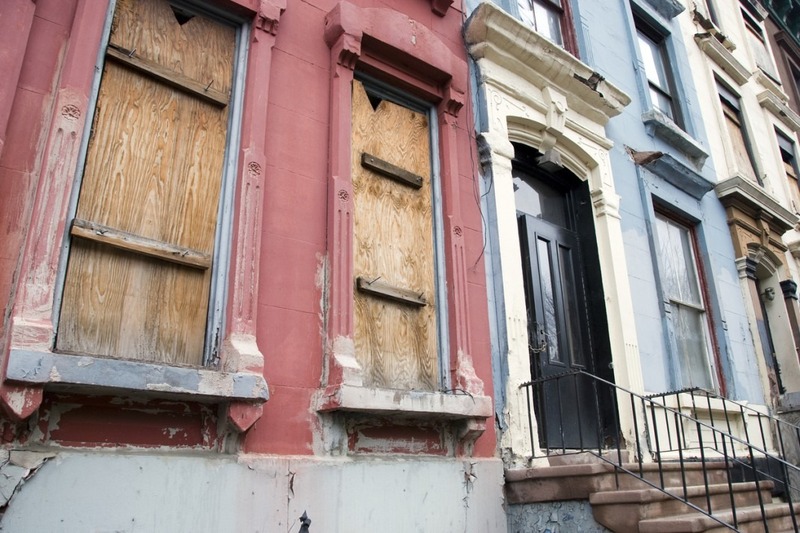 The 10462 zip code saw the highest number of new foreclosures with 26 cases in the neighborhoods of Soundview, Castle Hill, Union Port and Parkchester neighborhoods. In Staten Island, foreclosures dropped 30 percent in the third quarter, reversing a trend in the past couple of quarters. There were only 48 cases, and the last time that total dipped below 50 was in the fourth quarter of 2016. To create the report, PropertyShark looked at only first-time foreclosures to avoid over-reporting the number of distressed properties in the city. That’s because auctions are frequently postponed and rescheduled. The report focuses on residential properties (single- and two-family houses, condo, and co-op units) that were scheduled for auction for the first time in Q3 2018.